Don’t just wait to be arrested on an outstanding arrest warrant or direct capias. The attorneys at Sammis Law Firm, in Tampa, FL, welcome your calls to discuss a better way. By taking a pro-active approach to addressing the warrant, you can help resolve your case on the best terms. In 2016, approximately 16,111 warrants remained active in Hillsborough County. Even more surprising, a recent study found that one (1) out of five (5) misdemeanor traffic cases in Hillsborough County resulted in a capias warrant being issued for a failure to appear in court. If the warrant was issued for a failure to appear (often called the “FTA” warrant), then find out whether the attorney can simply file a “motion to withdraw” the FTA warrant or capias so that you can avoid being taken into custody. The motion to withdraw the warrant is sometimes called a “motion to quash” the warrant. Surrendering on the warrant will result in another mugshot and another arrest record. In some cases, it might be better to file a “motion to surrender” that allows you to surrender in the courtroom so that the judge can immediately address the bond and conditions of release. Work quickly to hire an attorney as early as possible. Hiring an attorney to assist you early in the case may ultimately save you money, stress, and embarrassment. The attorneys at Sammis Law Firm are experienced in helping people with an outstanding warrant in Tampa and throughout the greater Tampa Bay area. We can help you at all stages of the case. Whether your arrest warrant is for a new offense, a bench warrant for violation of probation, or a capias for failing to appear in court, we can help. Contact us to speak with an attorney about your capias, arrest warrant, extradition warrant or bench warrant for a case in Tampa or Plant City in Hillsborough County, FL, or the surrounding areas. Your criminal defense attorney in Tampa, FL, can also help you invoke your right to remain silent under the Fifth Amendment and your right to counsel under the Sixth Amendment so that the investigating officers will not attempt to interrogate you about the allegations. An attorney can help you schedule an emergency bond reduction motion so that your attorney can petition the court to lower the bond amount to a more reasonable amount given your financial circumstance. Alternatively, your attorney can schedule a bond motion to ask the court to release you on a signature bond (release on own recognizance or ROR bond) that does not require you to post any money with a bail bondsman. Additionally, your attorney can defend you against the underlying charges so that you can effectively fight for the best possible results. In some cases, the failure to appear occurs after the arresting officer issues a Notice to Appear instead of making a formal arrest. Out of County warrant (being held in Hillsborough County, FL, while awaiting transport to another county in Florida). How do I know if the court issued a warrant for my arrest? Many people find out about the warrant when a bail bond company in Tampa or Plant City, FL, sends them a postcard that says “Notice of Active Arrest Warrant” in the mail. The bail bond companies will tell you whether you qualify for a “self-arrest” program (sometimes called the “walkthrough”) that will take care of the warrant without the need to go through the normal process of being booked into the Orient Road Jail. Being proactive to surrender on the bond will also make sure that officers will not arrest you at your home or work. If the warrant involves a failure to appear (especially after you were issued a “notice to appear”) or a warrant issued in connection with a violation of probation, then you should contact an attorney to discuss your options. You can also check the FDLE website to search for an outstanding warrant in Florida by entering your name. You can also perform a local search in the county in which you think the warrant was issued. The website for the sheriff’s office in each county maintains their warrant or wanted person search feature. Federal law provides for ten categories of persons who are not eligible to purchase or possess a firearm as found in Title 18, United States Code 922(g)(1)-(9), (n). Under 18 U.S.C. s. 922(g), a person is disqualified from purchasing a firearm if the person is a fugitive from justice. For this reason, you lose your right to possess a firearm during any time that you are a fugitive from justice. A fugitive from justice is any person who has fled from any State to avoid prosecution for a felony or a misdemeanor or any person who leaves the State to avoid giving testimony in any criminal proceeding. The term also includes any person who knows that misdemeanor or felony charges are pending against such person and who leaves the state where the prosecution would take place. Federal and state law also prohibits you from possessing a firearm if you are under indictment or formally charged with any felony crimes while awaiting trial or final disposition. A Juvenile Pick Up Order (PUO) is similar to an adult arrest warrant. It can be issued if the child does not appear in court at arraignment, missed another court date, or disobeys an order of the court. The Pic Up Order (PUO) directs the law enforcement officer to deliver the juvenile to the Juvenile Assessment Center (JAC). Once delivered to the JAC the juvenile will be held in secure detention until the detention hearing the next day. The pickup order can require the child to be brought to the Assistant State Attorney, Assistant Public Defender/defense attorney, parent/legal guardian, DJJ juvenile probation officer, Department of Children and Family Services, or guardian ad litem. Unless a judge specifically provides otherwise in the order, the Juvenile Assessment Center and the Juvenile Detention Center will treat all “pick up orders” involving a juvenile who has reached his or her 19th birthday as a “screening only order.” That juvenile will be processed and released so long as there is no outstanding adult “pick up order” and so long as that juvenile is not in a Maximum Risk or post Level 10 status. The detention of juveniles in Florida is governed by chapter 985, Florida Statutes. See ch. 985, pt. V, Fla. Stat. Part III of chapter 985 expressly states that the sole means by which a juvenile judge may take a child into custody is “[p]ursuant to an order of the circuit court issued under this chapter.” § 985.101, Fla. Stat. Section 985.24 of the Florida Statutes, entitled “Use of detention; prohibitions,” sets forth the grounds on which a child may be detained. Without a statutory exception contained in § 985.255(2), Fla. Stat., an order placing a child in detention must be based “primarily” upon at least one of those grounds and supported by a proper “risk assessment of the child.” § 985.245(1), Fla. Stat. (2007). 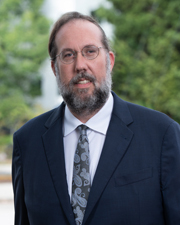 Additionally, chapter 985 authorizes a juvenile court judge to hold a child in custody or “secure detention” prior to adjudication or disposition appears in section 985.037 of the Florida Statutes, where the legislature afforded the juvenile court “limit[ed]” powers to “punish [a] child for contempt for interfering with the court or with court administration, or for violating any provision of this chapter or order of the court relative thereto.” § 985.037(1), Fla. Stat. The Hillsborough County Sheriff Office (HCSO) Warrants Section participates in several warrant round-up operations each year, including operations with the U.S. Marshal’s Service targeting violent fugitives. The Warrants Section coordinated the extradition of thousands of fugitives to Hillsborough County from other areas of the state. Also, the section coordinates the transfer of fugitives arrested in other states back to Hillsborough County. Many of these cases involved Governor’s Rendition Warrants for fugitives who fight extradition back to Florida. With the cooperation of the 13th Judicial Circuit Court, the State Attorney’s Office and our legal staff, hundreds of dated warrants are canceled due to statutory limitations. Warrants are also removed for fugitives found to be deceased. Any inquiries regarding the extradition of a fugitive from the jurisdiction of the Tampa Police Department or other law enforcement agencies from out-of-state agencies are referred to the Warrant Section of the Hillsborough County Sheriff’s Office. The only response permitted to requests for information regarding extradition is to refer the party to the HCSO Warrant Section. The Hillsborough County Sheriff’s Office (HCSO) has an elite “Special Weapons and Tactics” team (often called the HCSO SWAT Team. Members of the SWAT Team are deputies at HSCO who have received months of intense training. Members of the SWAT Team are awarded a SWAT pin. At HCSO, SWAT tryouts included extensive shooting drills, propelling from helicopters, and learning how to react in various active threats. Many of the SWAT members taking on these positions in addition to their regular duties as deputies. Member of the HCSO SWAT Team are often used to serve outstanding arrest warrants, particularly for serious and violent felonies or for suspects believed to be in possession of firearms. The self-arrest program was created in 2005 by the Hillsborough County Sheriff’s Office and the Criminal Registration Unit (CRU) to alleviate the traffic at central booking. The HCSO Self Arrest Center is located at 1800 Orient Rd, Tampa, FL 33619. HCSO began tracking Self-Arrests in 2006. That year, the agency reporting having 3,399 self-arrests. By 2011, that number increased to 4,652 self-arrests. Between 2011 and 2016, self-arrests decreased to 1,811 or by 61.1%. If you have an outstanding warrant and a reasonable bond has already been set, then you an use the self-arrest program offered by the Hillsborough County Sheriff’s Office if you are otherwise eligible. If you are eligible for the self-arrest program in Hillsborough County you might be able to avoid being booked into the jail where you will have your possessions taken and inventoried, be fingerprinted, go through a medical screening and psychological evaluation, and be dressed in an orange jump suit. Instead, the self-arrest program in Tampa, FL, lets you go to a building near the jail to turn yourself in and take care of the bail. The hours for the self arrest program at 9:00 a.m. until 3:00 p.m. on Monday through Friday (not including county holidays). To be eligible for self arrest, you must have a valid Florida ID and be dressed appropriately, be fingerprinted and photographed, have your identity verified, and be assigned a computer-generated booking number, and wait between 20 minutes to two hours. If you use the self-arrest program, you must be ready to post the bail with a cash bond or through a bondsman when you arrive. Any Hillsborough County self-arrest after 3:00 p.m. will be processed at the Orient Road Jail located at 1801 Orient Road, Tampa, FL 33619. If you go to the Orient Road Jail, the process might six (6) hours or more. The self-arrest program is much more convenient because you can avoid sitting in central booking waiting for hours to be processed. Florida Extradition Warrant – Find out more about fugitive warrants for extradition to or from the State of Florida. When the court issues a felony warrant in Florida, the FCIC will include information about whether the State of Florida is willing to extradite the individual back to Florida if the individual is picked up in another state. While the person is held out of state, the attorney may be able to convince the judge to release the individual long enough so that the individual can voluntarily surrender in the jurisdiction that has the outstanding warrant. Florida Arrest Warrants for Wanted Persons by FDLE – Search the Florida Criminal Information Center (FCIC) Public Access System (PAS) for wanted individuals throughout all counties in Florida. The Florida Department of Law Enforcement maintains the FCIC. 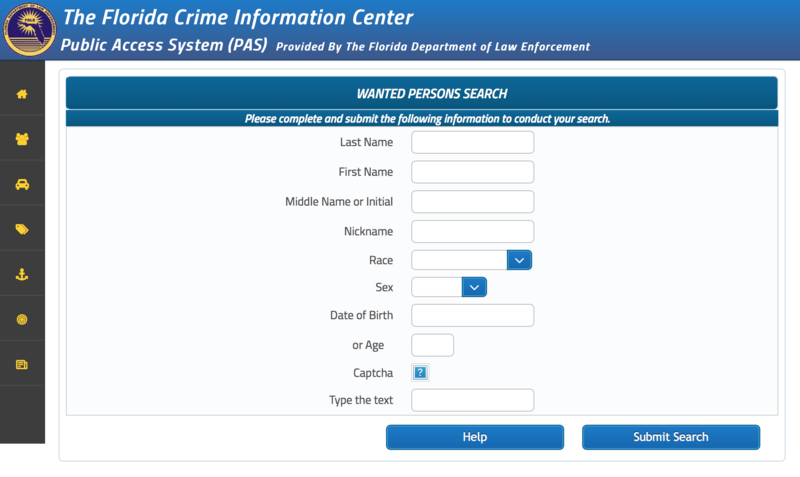 The FCIC PAS website contains records from Florida law enforcement agencies selected for public access by those agencies. Not all active warrants will show up because they have not been entered into the FCIC database yet, or because the agency has not selected the arrest warrant for public access. The FCIC PAS database also contains information about stolen guns, stolen vehicles (including stolen vehicle parts and license plates), boats (including boat parts and decals), and other stolen articles. The FCIC database also contains a list of missing persons. Absconder / Fugitive Warrants with Florida Department of Corrections – Florida Department of Corrections list of most wanted absconders with outstanding arrest warrants. The website contains a list of Florida cold case violent felons who are wanted for escape from a Florida prison or work release center sometime over the last 30 years. The Florida Department of Corrections, the Florida Department of Law Enforcement and local law enforcement agencies are asking for information on each person wanted on an outstanding arrest warrant for absconding / fugitive from justice. Clerk’s Docket in Criminal Cases in Hillsborough County – Visit the website of the Clerk of Court to find the docket for each case. From the docket, you can see if a warrant or capias was issued in the case. Search by name or case number. The Hillsborough County Clerk’s Office in Tampa also keeps a copy of the arrest warrant on file which can be obtained as a public record. If a bond amount is attached to the warrant, you can usually tell this by looking at the docket or the warrant itself. Hillsborough County Warrant Inquiry and Search – Database of outstanding warrants maintained in by Hillsborough County Sheriff’s Office in Tampa that allows you to search for a warrant by the wanted person’s name or warrant number. The website also contains information on extradition cases, and fugitives from other jurisdictions wanted in Hillsborough County, FL. Find the arrest date, booking number, charge, and bond amount required for an inmate at the Hillsborough County Sheriff’s Office jail for a current or old arrest record. The fact that you did not voluntarily surrender on the warrant is perhaps the most important factor the court will consider when determining the bond amount you must pay before being released from custody. The best way to resolve your outstanding and active capias or arrest warrant depends on the particular circumstances of your case and the particular procedures allowed by the judge that will decide the issues involved. Use a self-arrest program that will take care of the warrant without the normal booking process at the jail, if available in your area. Turn yourself in on the warrant and make arraignments for your attorney to represent you at the first appearance court which normally occurs the next morning at 9:00 a.m.
For a VOP or FTA warrant, appear in court with your attorney on a “motion to surrender” to ask the judge that will ultimately hear the case to withdraw the warrant or grant a ROR bond on the warrant so that you can be released the same day without posting bond. Have your attorney file a motion to withdraw the FTA warrant or capias based on a failure to appear in court if it can be shown that the failure to appear was inadvertent or unintentional. The Tampa Criminal Defense Attorneys are the Sammis Law Firm are experienced in helping our clients resolve an outstanding arrest warrant. We also represent clients after they are served with a search warrant in Tampa, FL, at their home or business. We are experienced resolving a wide variety of warrants including an arrest warrant, a violation of probation warrant, a failure to appear capias, a bench warrant, an out of county warrant, an extradition warrant, or a Governor’s warrant. Contact us to speak directly with a criminal defense lawyer in Tampa about the best way to resolve your case. Read more about resolving an arrest warrant in Pasco County. We represent clients with an active arrest warrant in Hillsborough County, Pinellas County, New Port Richey and Dade City in Pasco County, Brooksville in Hernando County, and Bartow in Polk County, FL.